Combine all ingridients for glace, put on low heat and evaporate until the whole mixture thickens. Make mango caviar, for that combine juice, water, mirin, alginate, and break through the blender. Cooled in the refrigerator and give to stand for 1 hour. Make a solution of calcium: take texture calcium (6.5 g) and diluted in 1 liter of water. Put mango mixture from refrigerator, add in syringe and drop to the calcium. With the help of sieve pull out mango caviar and wash in clean water. Before cooking marinate the cod in soy glace for 5 minutes. And bake it in oven for 15 minutes at 180 degrees. Take out cod from the oven, remove the bones (they tend to stick out of the fish). 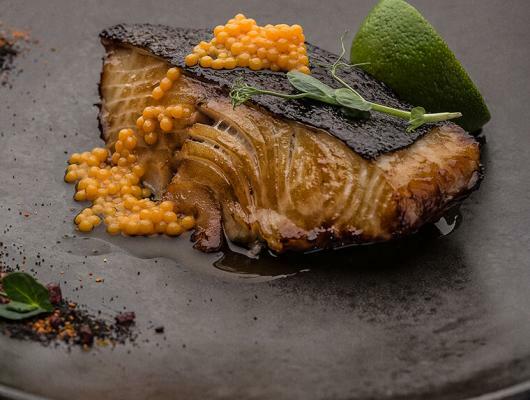 At the center of the plate spread cod steak, put near the half of lime and mango caviar. Today you will learn how to cook a favorite dish of Robert De Niro - baked black cod. 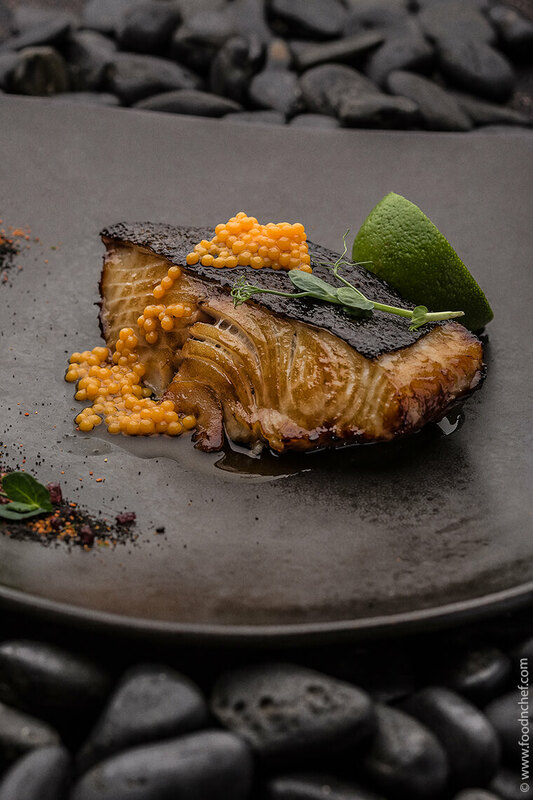 Recipe from Sergey Shpyakin, Chef at Rokka.